What can you say about a genre when you come across the best it has to offer and you still find yourself completely befuddled by the idea that it got made with the intent of being enjoyed by other people? 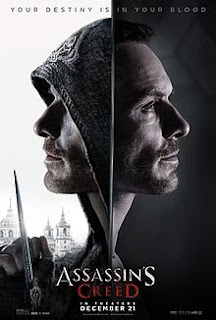 I pondered this while I was watching “Assassin’s Creed,” a movie adaptation of a popular video game series. For this is a movie that has way more polish than your average video game adaptation. It has Oscar-winning and nominated actors all around. Some actual money was spend on it. Yet I sat there, not only confused at what was going on, but extremely bored as well. 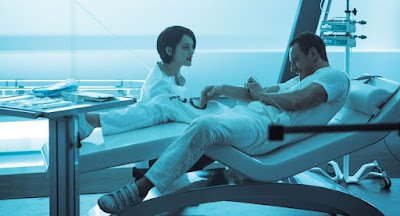 What I viewed was a mess of a film that couldn’t be certain what kind of story it wanted to tell, couldn’t decide which characters were good and which were bad, and couldn’t even figure out whether it wanted to be exciting or dramatic. 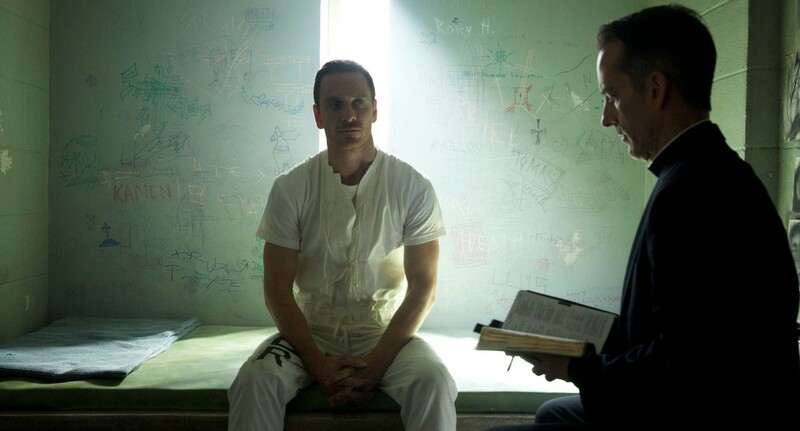 The film has such a dark, murky look to it that whether the audience is in the real world or the virtual reality world that has been invented for main character Callum Lunch (Michael Fassbender) to jump around in, they are bound to find the surroundings ugly and difficult to see. Adding to the problem is a problematic 3D version that doesn’t take into account that the glasses can dim the screen even further, making it difficult to see anything at all during most of the movie (which mostly takes place in dark rooms, tunnels, and at nighttime). If you are going to a movie and having a difficult time just seeing what is going on, then there’s a pretty good chance the film makers have completely missed the point of a visual storytelling experience. Sadly, they have also missed the point of what a solid screenplay can do. I have just spent the last couple hours pondering what I’ve seen, and I still couldn’t tell you really what this thing is about. To the best that I understand it, there is an item called Eden’s Apple, which some scientists believe to have the seeds of man’s original sin, and can be used to manipulate the world into one way of thinking. Despite a long scene where this is described with a straight face, I couldn’t help but jokingly think to myself “we have a company that already does that: it’s called Apple Computers.” I’m not sharing that just because I want to share my failed standup comedy routine with my readers; I’m saying that because it demonstrates that the screenplay didn’t hold my attention for its most basic of plot explanations and I have a feeling it won’t for most audience members either. 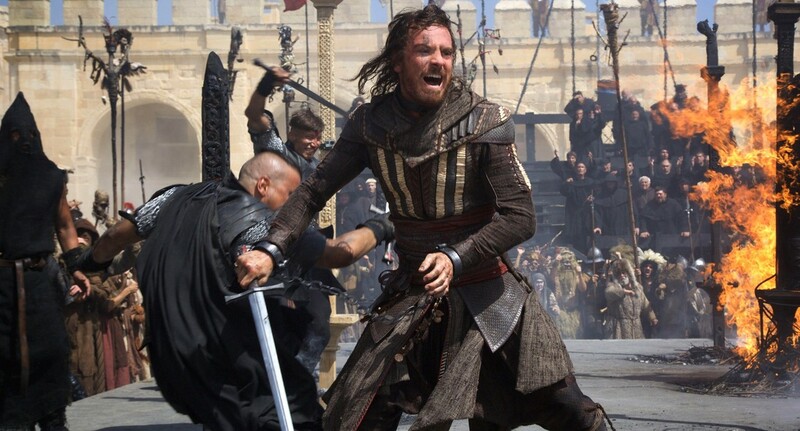 Like “Suicide Squad” from earlier this year, “Assassin’s Creed” jumps around frantically from one point to the next, hoping to keep the audience’s attention by throwing stuff at the screen without giving them anything of substance to chew on. To further make my point, there is a villain in the movie who spends a good chunk of time chasing our main character in the virtual reality world he is asked to inhabit in order to find information on this apple he is trying to locate. The man gets a huge amount of screen time and at least has two major fight scenes with our lead character, and yet he is never bothered to be given a personality or even so much a name. One of the movies key villains is basically just any other extra in the movie as far as I was concerned. I should take a moment and mention that I have played a few of the “Assassin’s Creed” games myself (and own two…one for Xbox One and the other for Wii U). They are fun games to play and the storylines - which involve a man traveling back in time to witness historical events - are pretty compelling for a video game. Why it doesn’t translate here is beyond me. Ubi Soft, the company behind the games, have produced the movie, so it’s not like this is in the hands of people who have no idea what the property is like. They had all the material right in front of them. 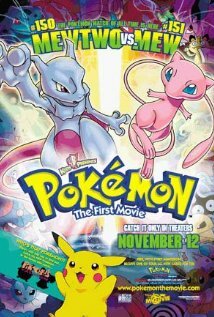 What they lacked, I believe, was an understanding for how video games are different from movies. The games run about 20 to 30 hours each, and you have time to explore the concepts and worlds in ways that a movie does not have the luxury to do. In a movie your opening scene needs to be compelling, not confusing. In a movie the character needs to be more than just a gruff murderer who exists for the player to control. I have no idea why the video games are colorful and fun where the movie is dark and dreary, but that was a choice the film makers made, and I believe it was a wrong one. 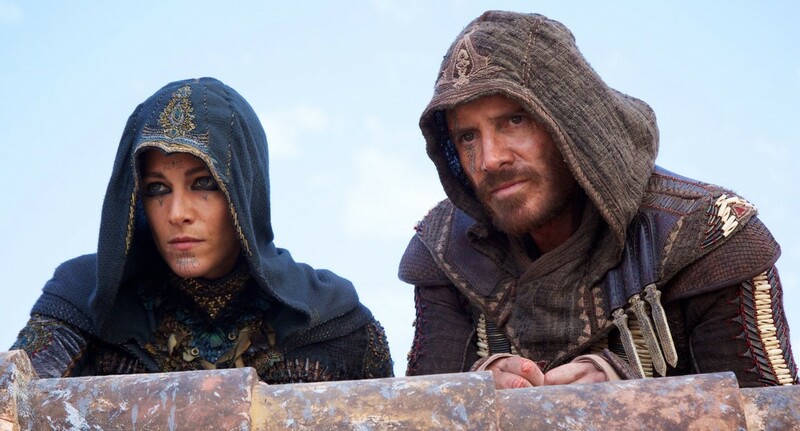 In fact, having played the video games, I believe a movie was the wrong medium for “Assassin’s Creed.” A TV series would have given the creators more time to properly establish the rules of the world and explore how everything functions. At two hours there was little choice than to go through events in a marathon sprint, all while hoping someone in the audience would be able to pick something up along the way. 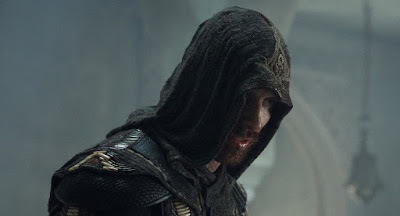 I certainly didn’t, and all I got out of “Assassin’s Creed” was one of the most confusing, joyless movies I’ve seen all year which commits the cardinal sin movie can make: it’s boring. Parents, there is a lot of violence, stabbings, and on screen murders. Most of the blood is even seen, strangely enough. And there is the usual f word. Recommended for ages 15 and up.